The Joker looks dapper and dangerous as he rides high atop his own maniacal laughter, a unique and integrated base built of actual "HA HA HAs." 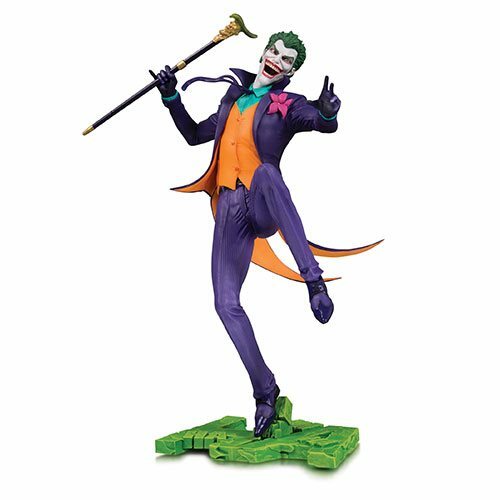 Display the 11-inch tall Clown Prince of Crime proudly at home, work or wherever you want to show your crazy side. DC Core is a line of 9-inch scale premium PVC statues that appeals to fans of DC and its core characters.